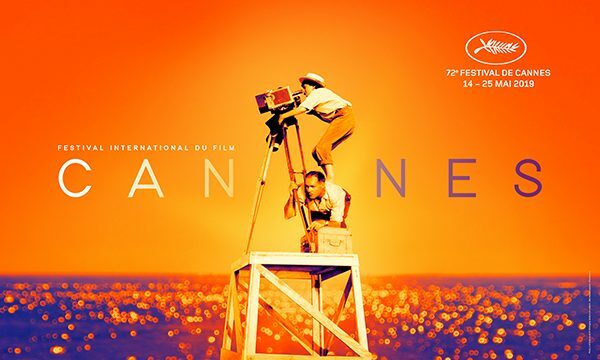 The official poster for Cannes Film Festival is unveiled, and without surprise, it is dedicated to Agnès Varda, a sign that the festival will honour her. All the way up.As high as she could go.Perched on the shoulders of an impassive technician.Clinging to a camera, which seems to absorb her entirely.A young woman, aged 26, making her first film. It is August 1954: we are in the Pointe Courte neighbourhood of Sète, in the South of France. In the dazzling summer light, Silvia Monfort and Philippe Noiret explore their fragile love, surrounded by struggling fishermen, bustling women, children at play and roaming cats. Natural settings, lightweight camera, shoestring budget: with La Pointe Courte (presented in Cannes, in a screening on the rue d’Antibes, in 1955), the photographer from Jean Vilar’s Théâtre National Populaire is paving the way for a young cinema, of which she will remain the only female director. Like a manifesto, this photo from the set sums up everything about Agnès Varda: her passion, aplomb, and mischievousness. Ingredients of a free artist, forming a recipe she never stopped improving. Her 65 years of creativity and experimentation almost match the age of the Festival de Cannes, who celebrates each year visions which reveal, dare and rise higher. And who remains keen to remember. As she liked to point out, Agnès Varda is not a woman filmmaker: Agnès Varda is a filmmaker. She often attended the Festival de Cannes to present her films : 13 times in the Official Selection. She was also a Jury member in 2005 as well as President of the Caméra d’or Jury in 2013. When she received the Honorary Palme d’or, in 2015, she evoked “resilience and endurance, more than honour”, and dedicated it “to all the brave and inventive filmmakers, those who create original cinema, whether it’s fiction or documentary, who are not in the limelight, but who carry on.” Avant-garde but popular, intimate yet universal, her films have led the way. And so, perched high on this pyramid, surveying the beach at Cannes, young and eternal, Agnès Varda will be the inspirational guiding light of this 72nd edition of the Festival!